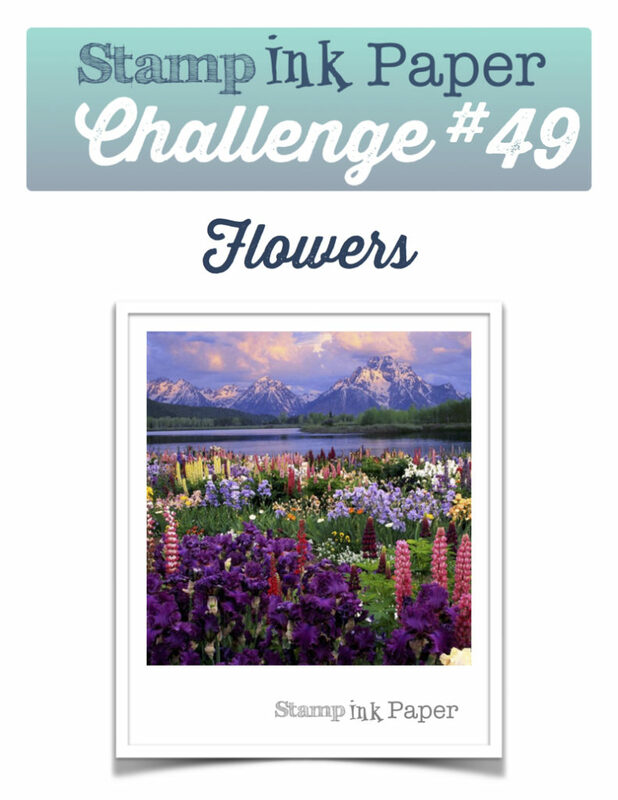 Home / Altenew / SIP Challenge 49 – Flowers! Now that I get to spend everyday at the Stamp, Ink, Paper Store inside Scrap-A-Latte I can’t even say anything bad about Monday! What could make the day better? Why getting to drive there and back with the top down in the car listening to some unnecessarily loud music! Have you heard the new Justin Timberlake song Can’t Stop the Feeling? It’s the perfect happy upbeat song for nice rides in the car! Who doesn’t like a pocket full of sunshine?! I got lots accomplished at work but was bummed when I found that the second half of my Lawn Fawn order didn’t come. I discovered that it was too big to ship through the Post Office so it went UPS and that added an extra day. Guess there is a lot in that box! We had some new customers come by the store and I even got to talk tech with one of the husbands! 😀 I had a little dinner when I got home and talked with my parents and neighbor for a while before coming inside and making my card for today. This morning I’ll get the Lawn Fawn order all sorted out and make some samples! Yay!! 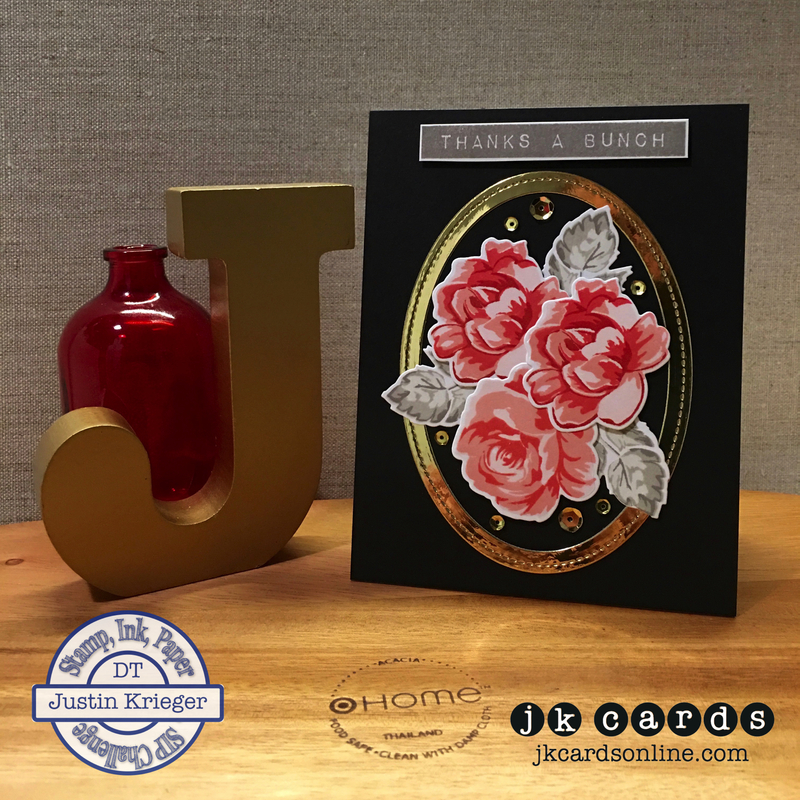 This entry was posted in Altenew, Blog, Cards, Crafts, Embellishments, Lawn Fawn, Photopolymer, Pretty Pink Posh, Stamps, The PaperCut and tagged Altenew, Card Making, Crafts, Lawn Fawn, SIP Challenge. Bookmark the permalink. Wow! Gorgeous to the max! Just beautiful. Love the gold frame. Sooooooo pretty! It is so refreshing to hear your outlook on Mondays. The best of everything to you! I am so sorry that I didn’t buy the Altenew flower stamp and die sets yesterday when I was in the store. Dreamt about them last night. : ) Just read you have a miniature schnauzer. We do too. Please post a photo! I’m envious of your new fun 🙂 Sounds like the perfect job! And I do love that new song! You are living the life! I predict the new JT song will be THE song of this summer. It’s killer-diller! that card with the beautiful coloring and gold frame is absolutely stunning. I love everything about the Altenew stamps. I especially like the fact your choice of color for the foliage is perfect; a green would have totally subdued the pop of floral color. BEAUTIFUL CARD. I’m looking at my stamp set Label Love and trying to figure out what you used from this set on your card. Help! Thanks a bunch is not in MY set. Beautiful card, Justin. I love all the elements. The gray leaves are outside the box for me, but work so well with this card. So glad the weather is better finally so you can drive with the top down. It’s great your job is something you love so much. With your creativity, enthusiasm, knowledge and drive, I’m sure it will be a huge success.